Over 22 million people in the United States suffer from sleep apnea and nearly 80% of cases remain undiagnosed. Sleep apnea leads to restless nights and can be linked to serious health issues. In addition to conventional treatments such as CPAP machines or surgery, you may want to consider a bed with an adjustable base. If you sleep on your back in a flat position, gravity pulls your neck down on itself. This can obstruct your airway. In contrast, when you position the base of an adjustable bed so that your head is propped up, you take some of the weight off your neck, eliminating the obstruction and helping you to sleep more soundly. A mountain of pillows can provide a similar effect, and you may even want to play with the pillows on your current bed to see if changing positions helps you. Over the long term, however, pillows don’t provide firm support and you may roll off them in the middle of the night. With an adjustable base on your mattress, even if you toss and turn during the night, your head always stays elevated. Some people try to simulate the effect of an adjustable bed by sleeping in a recliner or a chair, but again, that doesn’t offer the long-lasting comfort you need for a good night’s sleep. It can also be hard on your back. Sleep apnea doesn’t just affect the person with the condition. It also affects their bedfellows. With an adjustable base, both people in the bed can get more comfortable. If you are waking up frequently because your partner is snoring loudly due to sleep apnea, you may appreciate a bed that you can adjust so it’s easier to get comfortable and stay asleep. It’s important to note that an adjustable base mattress can help to lessen some of your sleep apnea symptoms, but it is not a cure for the condition. You should consult with your doctor and talk about treatment options. You may also want to go through a sleep study if you haven’t already. During that study, you can test whether or not changing positions helps alleviate your symptoms. Your doctors may advise you to get a CPAP machine. This device blows a continuous flow of air into your breathing passages to keep them open, and it ensures that you don’t stop breathing in the middle of the night. It can be more comfortable to use your CPAP machine if you have an adjustable mattress. 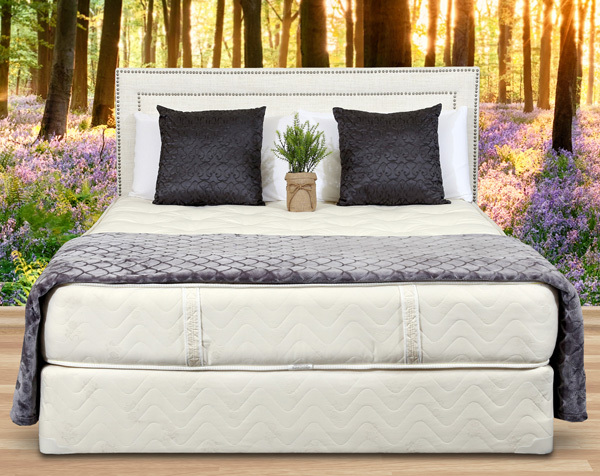 If you decide that you want a mattress with an adjustable base to help with your sleep apnea or just to make your nights more comfortable, contact us today at 1-800-564-2736. At Gardner Mattress, we handcraft classic and organic mattresses. Whether you opt for an adjustable base or another design, we offer a 30-day satisfaction guarantee. Don’t like it? We’ll take it back. Previous article	What Is Mattress Tufting?